Today is Day #6 of Chocolate and Gluten-free Cookie Theme Week. 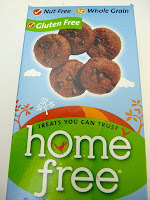 These Gluten Free, Nut Free cookies are from Home Free. As billed, these miniature, whole grain cookies where crunchy, without being too crumbly, and were quite good. 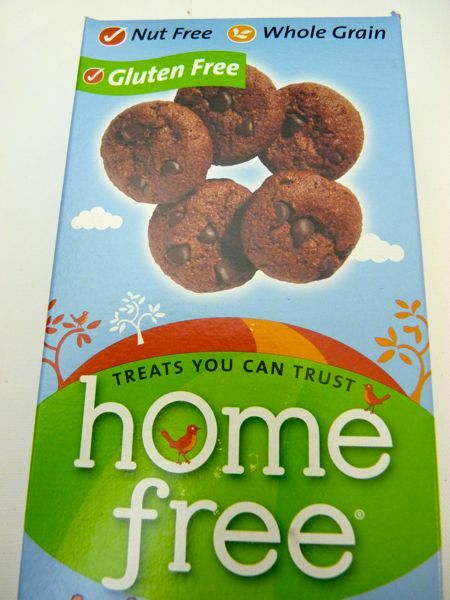 The only note of caution: these contain gluten-free oat flour -- which some gluten-free diets can accommodate and others can't.